We all have different ways of interacting with others, different perceptions of what is good communication and varying opinions of what is or is not appropriate in the office. With all those factors and more, there’s bound to be constant challenges. Often there are imperfect solutions or outcomes to interpersonal problems, however, that doesn’t mean we can’t seek to improve as much as possible. 1. Listen carefully first and get to the heart of the issue. Make sure to hear the other person out before giving your side (even if you’re 100% sure that they are wrong). If someone doesn’t feel listened to, they'll believe you don’t understand them. 2. If there’s not an obvious choice, don’t take sides between two colleagues, but rather, look for common ground that allows them to share similarities and not differences. 3. Always put the relationship first and avoid taking the dominant position where possible - most people resent being told what to do or that they have no power/influence. 4. Teams who work together will outperform more competent teams who don’t gel well together - remember that others can make your life easier or harder if they wish. 5. Come to the table with solutions, not problems. 6. Always look for the win-win. It’s not always possible, but if you don’t look, you definitely won’t find. 7. Communicating well doesn’t mean continuously communicating - sometimes brief communication is more effective as it allows the message to get across more succinctly. 8. Be aware of the facts of the situation and your beliefs about the situation - often, what you see is not all there is. 9. Avoid jargon where possible - it’s difficult for some people to understand it easily and they might be afraid to ask. 10. Avoid ambiguity: have clear outcomes and send clear messages. 11. Apologise for mistakes if you make them, and remember that you do make them - everyone does and that’s OK.
12. Give credit where credit is due. A huge amount of people don’t feel appreciated. Find out what makes them feel good and then let them know in that way, rather than just the way you expect them to feel good. 13. Define problems in solvable terms. Consider ‘we need more sales’ compared to ‘we need to learn strategies that allow us to make more sales’, or ‘we need to learn ways to better serve our customers’ or ‘we need to find out how to add more value’. 14. Give roughly equal amounts of time to each person so that they get a chance to speak. 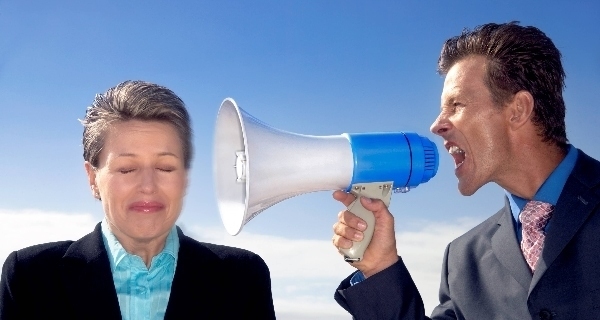 In team meetings, it’s easy to fall into the trap of having the talkative people speak the most. However, it’s a good idea to train everyone to say something at the meeting so they don’t get into the habit of always being passive and not contributing. Remember that they may have very valuable insights but are afraid to share them. 15. Use decision-making techniques to avoid friction. Check out Edward de Bono’s 6 Thinking Hats. These tips appeared originally on ronankennedy.ie.